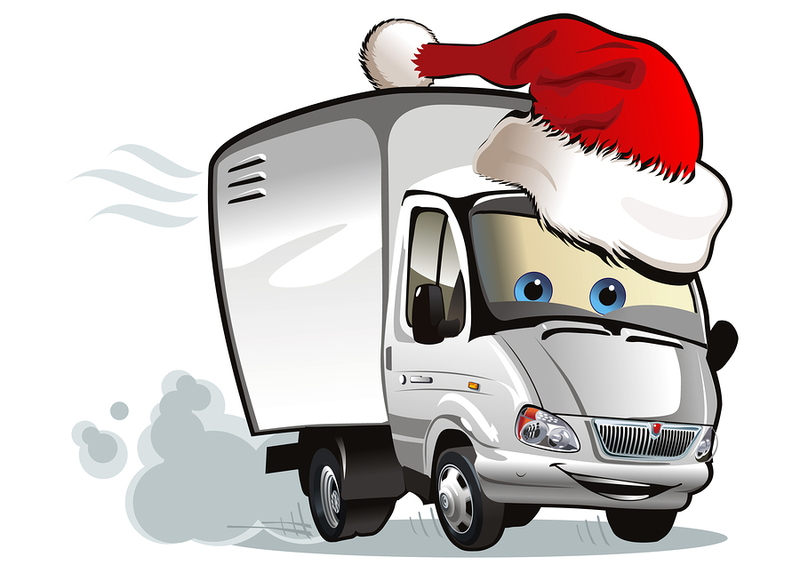 Packing up your household belongings and moving, whether it’s a local move around the corner or a long distance move, across the country, can be challenging at any time of year, but combining a move with the winter holidays can seem like the perfect storm of stress. Fortunately, a little stress relief and a bit of planning can go a long way when it comes to moving this busy time of year. Read on for seven tips and tricks that can make moving during the holidays a bit easier on everyone. The ordinary stress of moving a household can be exacerbated by the pressure to find a perfect gift for a seemingly ever-growing list of people. Agree with the other adults in your family to scale down your gift giving and party-hosting this year and put your limited time into making the kids’ holiday a great one. Let close friends and relatives know that, just this year, you’d love a home improvement gift card instead of a boxed gift that will need to be carted from one home to the other. That card will help you get set up and settled in, cozy and comfortable, at the new place. And of course, let everyone know when you are moving well ahead of time (some may need reminding more than once; you know who they are) so they don’t mistakenly send your gifts to the old address after you’re gone! 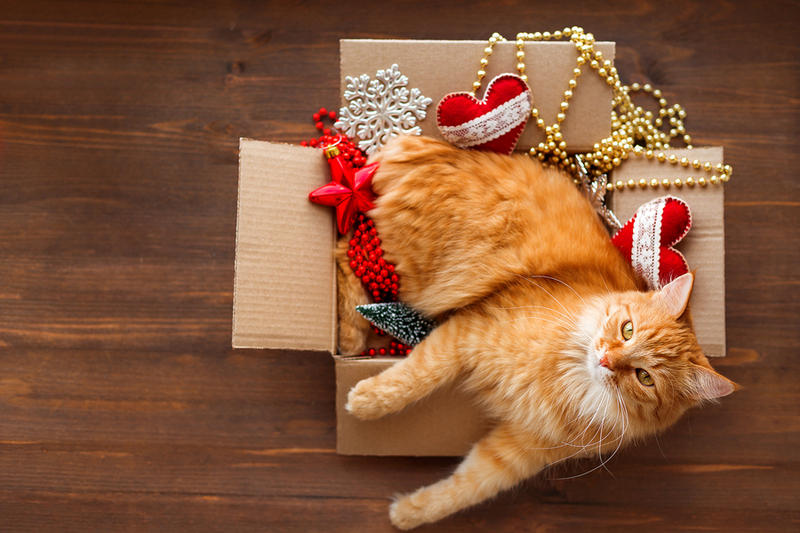 Whether you’re packing your household yourself or using local movers to do the packing, it can be worth first making a short list of items that are important to you to make your new house feel like a home during the holidays — from certain cherished family Christmas ornaments to a comfortable throw blanket that’s followed you since college. Pack these items separately and keep them easily accessible to help you quickly personalize your new home without adding the pressure to dive into dozens of unpacked boxes during this busy time. Even if you opt to move your own things from the old home to the new one, enlisting local movers to unload and unpack your belongings in your new home can save you valuable time. Save your energy for enjoying the holiday sights in your new hometown instead of wearing yourself and your family out unloading the truck and putting appliances and furniture back together. Even in today’s increasingly paperless society, moving can involve a number of physical documents — from the lease agreement on a new home (or a purchase agreement if you’re in the buying process) to your old home’s sale or rental agreement, employer reimbursement forms, tax documents, or a notice of mail forwarding. Keeping these items, along with those you’ll need to get identification cards in your new location, like birth certificates and Social Security cards, in one secure location can help you avoid any last-minute snafus during the moving process. Include in this packet any physical addresses you need in the form of old holiday cards and address books, so you’ll be able to send holiday cards from your new address without hunting through stacks of boxes. Holiday season moves in most parts of the country involve some degree of cold weather, which means many may not need to unpack a sizable percentage of their wardrobes for months after arrival. Investing in a vacuum sealer can allow you to store your family’s summer clothes without taking up much space and while protecting them from damage or pests. It will come in handy during the move as you can seal bedding and towels to minimize the amount of moving space devoted to large and soft items. Moving can require disassembling or disconnecting most of your electronics and perhaps even breaking down some furniture. By taking photos of everything you disconnect before you begin packing, you’ll make the reconnection process much simpler and less frustrating. You may also want to take some photos of your home after you’ve removed all the furniture and boxes, particularly if you’re a renter who hopes to get all (or most) of your security deposit back. Even if you’ve sold your home to another buyer, having these photos can be good insurance in the event they claim to find damage upon arrival. It can be tempting to want to cut costs wherever possible when moving, especially during a financially stressful time of year. The good new is, for those who are relocating for employment reasons or on military orders may be able to deduct many moving-related expenses. It can be worthwhile to meet with an accountant or download some tax preparation software to experiment with various scenarios (from a full-service move to deduction of travel costs across the country) to see where your biggest tax savings will lie. If you’re moving during the holidays, make the most of it. If you’re driving to your new home, take time to enjoy the sights, sounds and foods of the holidays along the road. If you make this time fun, it’ll be one holiday season your family will remember and be able to talk about for year to come.